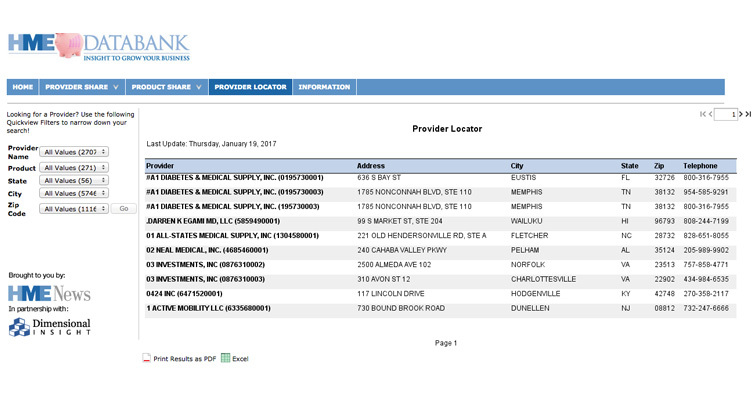 PROVIDER LOCATOR lists the address and phone number for every home medical equipment (HME) company location in the United States. The Locator is fast and easy to use, and allows you to search by state, city, zip code and company name. This information is updated annually.